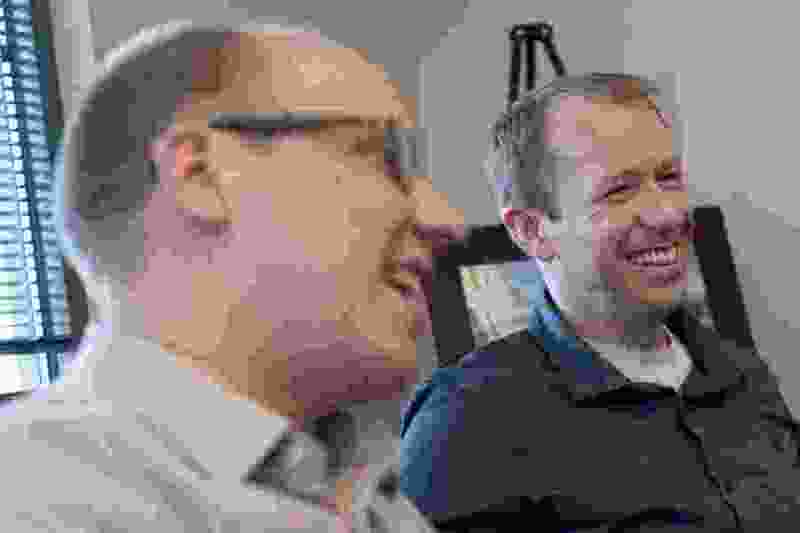 (Jeremy Harmon | Tribune file photo) Jason Brown, left, and Ari Bruening, of Envision Utah, meet with The Salt Lake Tribune on April 9, 2019. The group conducted a poll that found one of the biggest reasons Utah teachers cite for leaving is that the pay is too low. While I completely agree with the article "New push targets teacher shortage" in the April 10 edition of The Salt Lake Tribune, about a group that is researching teacher pay, I think we need to also address the complexities new teachers face when they enter the classroom. There are at least two other critical factors that I believe would increase teacher retention and longevity. As a retired teacher of more than 30 years in Utah, teaching in the classroom and mentoring new teachers and interns, I realized that academic freedom and meaningful professional development are two of the most influential factors that support teacher effectiveness and satisfaction in their profession. Teachers need to have their education degrees validated by being given the academic freedom to select materials and instructional strategies they deem effective for their classroom settings, while still following the Utah Core Standards. Professional development should be designed to support teachers in strengthening their instructional strategies, classroom management and learner environments. It keeps instruction fresh, relevant and engaging, while providing teachers more tools to meet the needs of diverse learners. Let's give teachers competitive salaries, academic freedom and quality professional development.